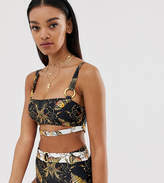 Bikini top by Wolf Whistle, Just add water, Shell print, The bolder, the better, Square neck, Adjustable straps, Clasp closure, Exclusive to ASOS. Founded in 2012, London-based label Wolf Whistle specialises in sleep sets, lingerie and cup-sized swimwear. 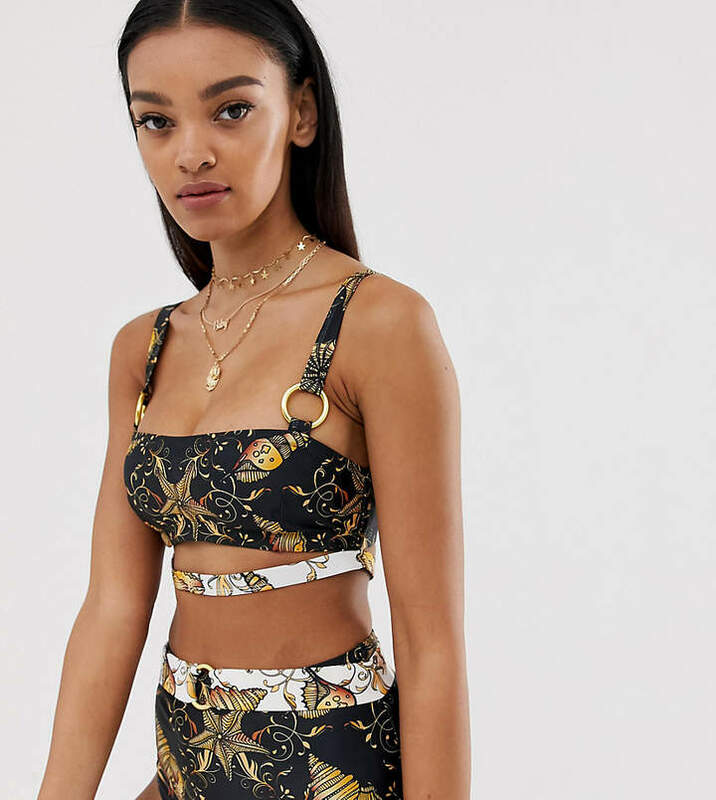 With some styles designed exclusively for ASOS, the brand's made-you look bikinis help you prep for the poolside, while its sleepwear, bras and briefs are finished with luxe satin fabrics and delicate lace trims.